What Does The Goatfish Teach Us? Symbiosis, or mutualism, is a common phenomenon in nature. Simply stated, it means that two living creatures help each other to the benefit of both. A parasite benefits to the detriment of its prey. But in mutualism, both the giver and receiver are helped. Here is an example: when ticks bore into the hide of zebras in Africa, they welcome the oxpecker bird that lands on their backs and digs the parasites out. The oxpecker gets a free meal, and the zebra gets relief. Another example is found in the sea. 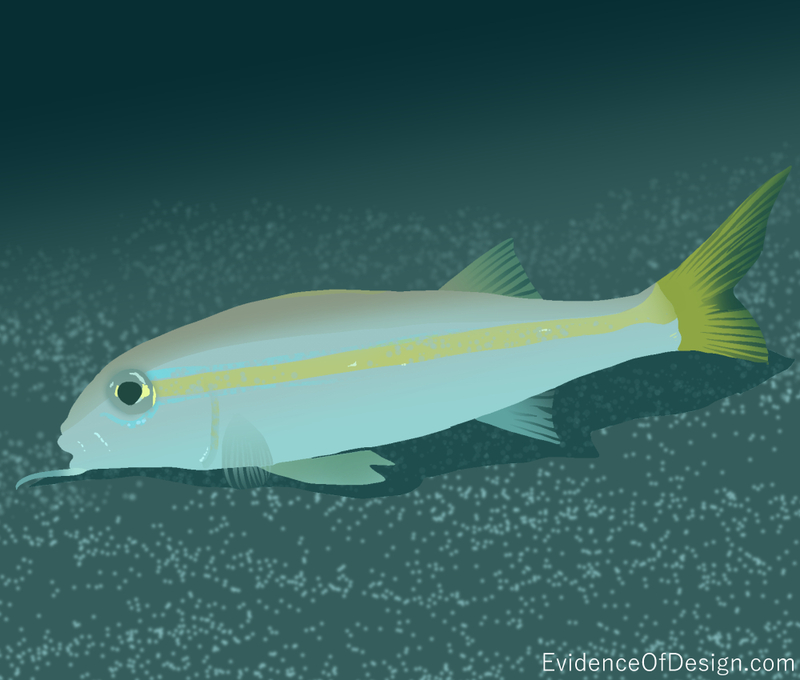 “The yellow-tailed goatfish is a mostly white fish that swims in small schools. They often cruise around reefs where the yellow French angelfish live. The angelfish hide from the goatfish who might eat them. However, the goatfish are often bothered by parasites that lodge in their scales and gills. When this happens, the goatfish swim to the reef in which the angelfish live and blush a bright rust red color. It is difficult to explain this beneficial relationship between a predator and its prey. How did the goatfish learn to turn red and to use it as a signal? How does the angelfish know the red color is a plea for help? One misunderstanding would mean the angelfish is lunch. Evolutionists somehow must explain this through adaptation without extinction. Creationists, on the other hand, find no difficulty explaining how the Creator could pack this knowledge and ability into the brain of the goatfish and the French angelfish. By way of application, Christians are mutualistic creatures as well. God made us to need each other. By giving selected gifts to each believer, He makes us dependent on each other to fill in what is missing in our own lives. When we exercise these gifts, we have the joy of serving the Lord, those we serve reap the benefit of our expertise, and God gets the glory! YOU ARE A CRAZY RELIGIOUS NUT. ADAPTATION IS A PERFECTLY PLAUSIBLE EXPLANATION FOR THE PRESENCE OF SUCH BEHAVIORAL INSTINCT. READ SOME "GENESIS", FOR GOD’S SAKE! DON’T BLOG ABOUT SCIENCE IF IT’S NOT REALLY SCIENCE. P.S. I am a Christian and I still think that.